HomeAll PostsNews & InfoPolar Plunge Myrtle Beach Has Grown! Polar Plunge Myrtle Beach is a fun event held to benefit the Special Olympics South Carolina. For 2018, our goal is to raise $90,000 with more than 700 brave participants taking the Polar Plunge. In South Carolina, thousands of people with intellectual disabilities benefit from the opportunity to participate in the Special Olympics. The organization receives no federal funding and relies on private and corporate support as well as the efforts of hundreds of volunteers to provide services at no cost to the athletes and their families. The very first Polar Plunge event in Horry County took place in 2006 when area police officers and others in law enforcement wished to do something to help raise community awareness about the Special Olympics. With the help of the South Carolina Law Enforcement Torch Run® for Special Olympics in uniting officers from law enforcement agencies and corrections departments across the state, support for the event grew. The dedicated group began with just 47 “plungers” and raised more than $15,000 in 2006. In 2012 it grew to over 500 participants raising more than $75,000. The fine members of the Horry County Police Department, Conway Police Department, Myrtle Beach Police Department, North Myrtle Beach Department of Public Safety, the South Carolina Highway Patrol, Horry County Sheriff’s Office, Sheriff’s Deputies, Department of Corrections staff members, and area Fraternal Order Of Police Lodges all help by participating, volunteering for, and supporting this Torch Run event. Add to this all the wonderful support from the local community, area businesses, teachers, schools, students, churches, youth groups, sports teams – the love is just wonderful! We also thank all the area radio and television news outlets and magazines that support us by posting articles about our events. WPDE, WBTW, WMBF, Grand Strand Magazine, My Horry News, Myrtle Beach Online, and many others share the kindness through reporting and posting about our efforts! 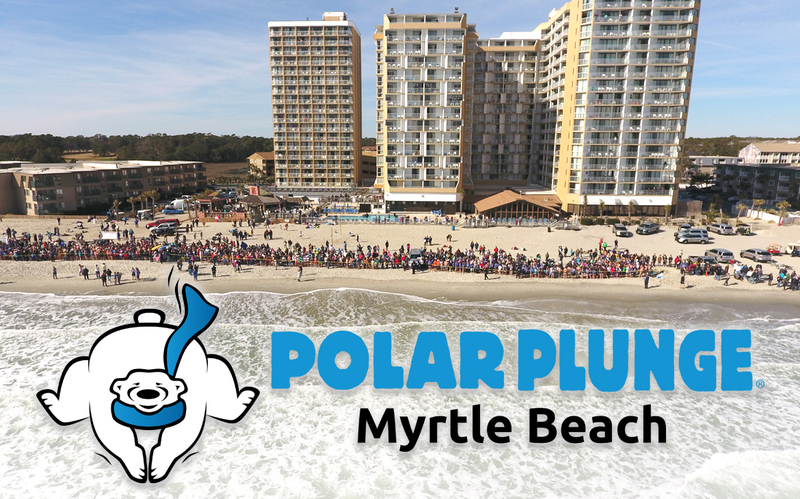 For many years, the Myrtle Beach Polar Plunge was the only plunge supporting the Special Olympics in the state. 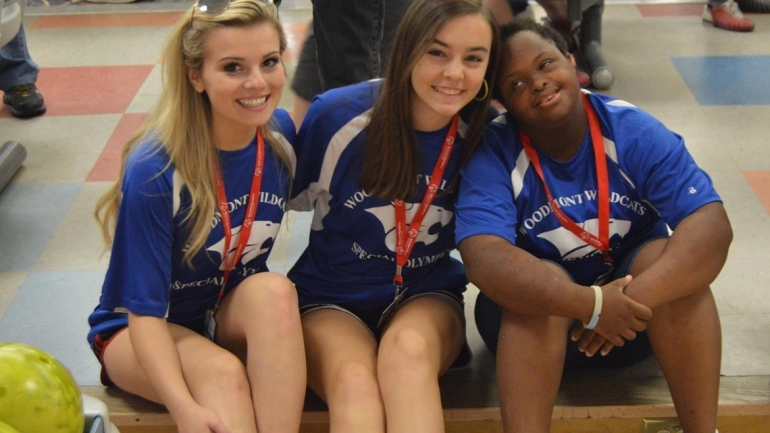 Now several other areas in South Carolina have plunges of their own, and that helps give even more to the Special Olympics of South Carolina and their determined athletes. 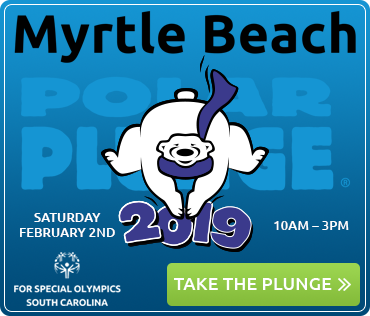 In addition to the other South Carolina Law Enforcement Torch Run® events and other community events, the Polar Plunge has grown to be the largest local fundraiser for the Special Olympics. Recently in 2017, the Polar Plunge raised more than $93,000 and had nearly 700 “plungers”. The Plunge has grown into a big fun event with games like bocce ball, volley ball, and tug of war. There is often live music, food, dancing, and cheering. Bringing the community together. Typically in February, the ocean water is about 40-50 degrees. The cold water may not be very comfortable, but raising money for the Special Olympics is a heartwarming experience. The Special Olympics works hard to maximize each and every donation received. For every $1 raised for the athletes, 89 cents goes directly to the program costs. These programs are free to the athletes and their families, so the donations are critical to our program and to them. Program expenses include equipment, uniforms, transportation, facility fees, background screening costs, official’s fees and other necessary things to benefit the athletes and their efforts.